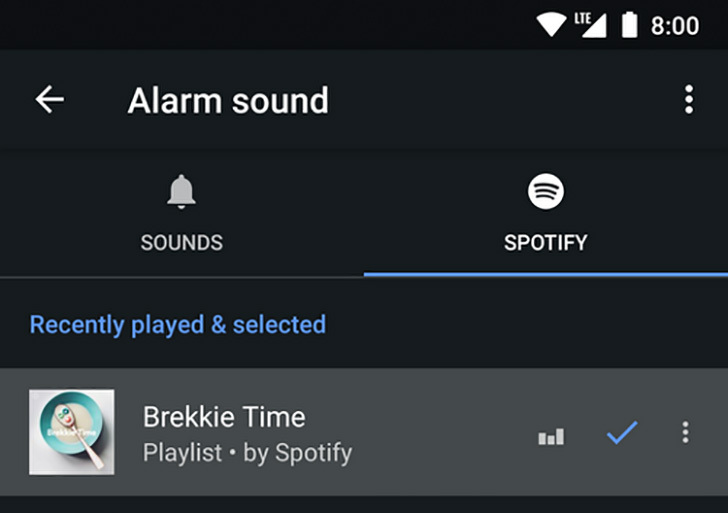 Most people don't like to wake up to the grating whine of a regular alarm clock, and a lot of the "alarm" sounds on phones are scarcely better. Now, the Google Clock app offers an alternative. 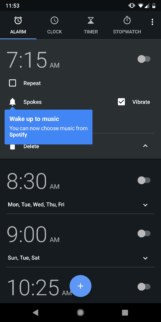 In the latest version, you can use music from Spotify for your alarms. Play Music and YouTube Music? Nope, because Google. 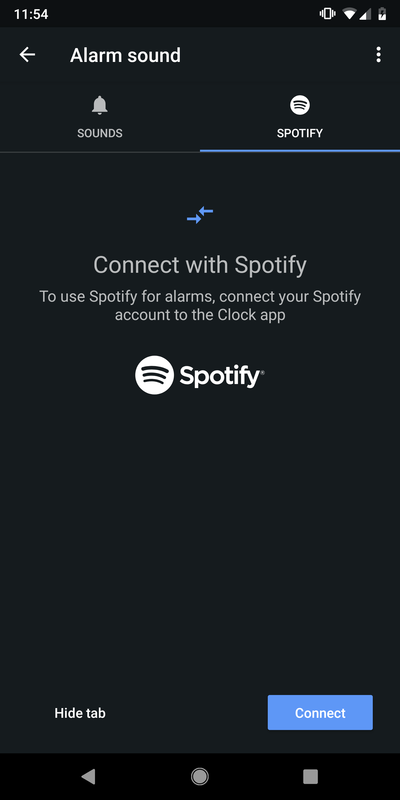 You can connect the Clock app to a free or premium Spotify account, and then search for songs, playlists, or access your recently played tracks. 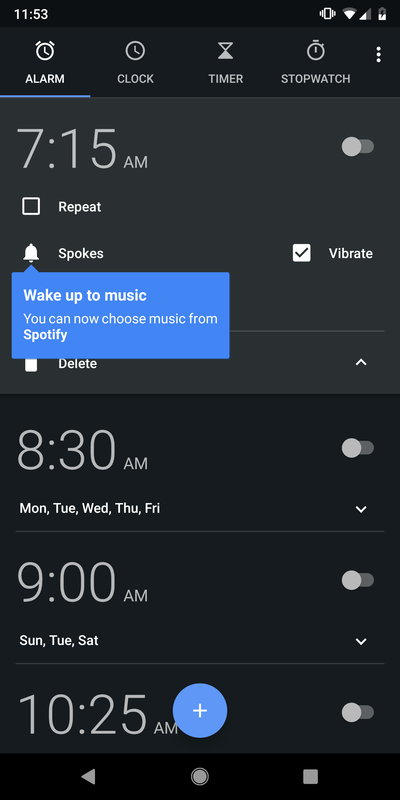 Spotify will also provide a number of curated playlists for your alarm. 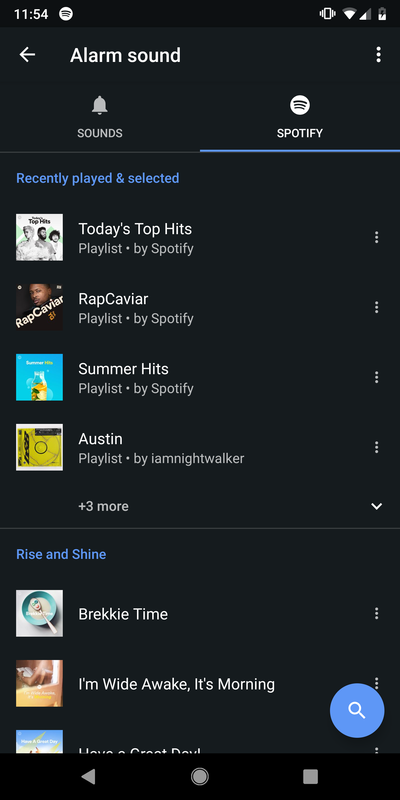 The Spotify section of the app is in a second tab next to the "Sounds." We first spotted the framework for this in an APK Teardown back in 2017. 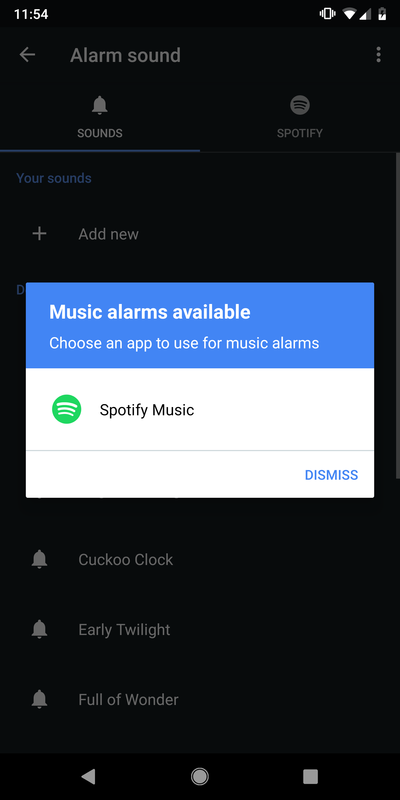 It is a little bit strange that Google is adding Spotify support to the Clock app instead of its own music offerings, but that's Google for you. That's the gist of it. 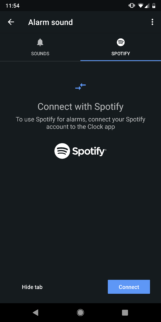 To get started, you need to be on the latest version of the Clock and Spotify apps, but the feature won't be fully available until later this week. It's unclear if you'll need an updated app, but we'll have an APK if that's the case. It seems that Google was being quite conservative on that 'later this week' claim, as the APK necessary to enable the feature (Clock v5.3) is already out. The feature puts your 'Recently played & selected' playlists up top, with sections for 'Rise and Shine,' 'Lazy Mornings,' 'Right side of the bed,' and 'Morning Workout' following it. 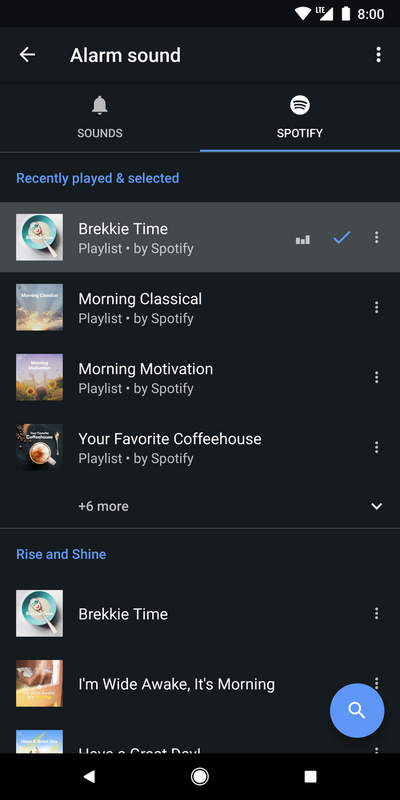 Each has a handful of playlists to choose from. You can grab the Google Clock v5.3 APK from APK Mirror.